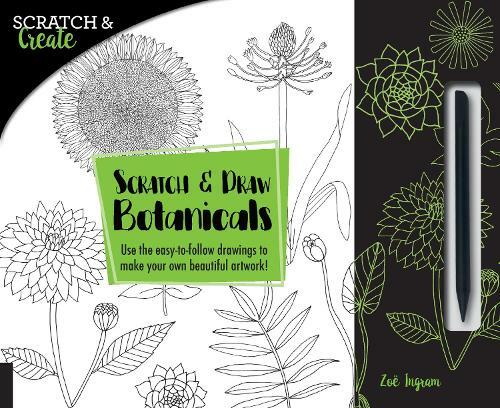 This unique scratch book features 20 inspirational and decorative illustrations of flowers, leaves, and other botanical designs. Created with simple lines and shapes, you can copy the pattern on the facing page by using the special scratch tool to reveal a contrasting background. Create a simple and beautiful piece of art as you scratch away the metallic coating. You can copy the drawing or feel free to make your own variations as you create your own personalized version. Your designs are created on perforated pages, ready to tear out and display!